Fixtures have been finalised for the 2019 Optus WAFL Women’s Premiership season, with Round 1 to kick off on Sunday, May 5, featuring games at New Choice Homes Park, East Fremantle, and Steel Blue Oval, Bassendean. 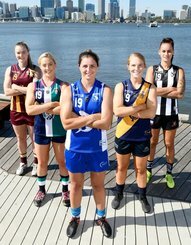 The competition’s inaugural season will see the five WAFLW teams play each other three times across 15-rounds, with a three-week finals series culminating in a televised Grand Final as a double-header with the WAFL Preliminary Final on the 7 Network. Each team will have three byes and there will also be two general byes throughout the season, providing an opportunity to play talent development exhibition games, including an AFLW WA 18s versus WAFLW All-Stars game and WA versus Queensland State under 23s game. A WAFLW game will be live-streamed online each week, with every club to feature in the coverage six times across the course of the season. AFLW players will return to the competition following the conclusion of AFLW commitments. Every fixture throughout 2019 will be played at a WAFL venue, with six games to be played as double-headers with West Coast WAFL games when there are byes for WAFL Reserves and Simply Energy Colts. Other 2019 fixture highlights include a WAWFL Grand Final rematch between Subiaco and East Fremantle in Round 2 and the continuation of the Dhara Kerr Cup featuring Claremont and Swan Districts. Executive Manager WAFL & Football Operations Scott Baker said the new women’s competition was an exciting addition to the WA football landscape in 2019. "This is a new era for WA Football and an exciting step for everyone involved with the WAFL competition and female football," he said. 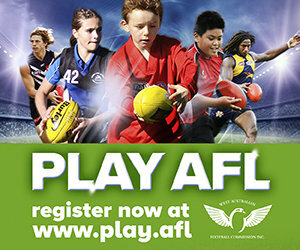 "The fixtures are aimed at showcasing female talent by making the most of opportunities to play double-headers at WAFL grounds, while still retaining traditional WAFL Reserves and Simply Energy Colts time slots wherever possible. "The clubs have been great at helping us identify the best times and when grounds are available, as well as working together on their match day format and planning upgrades to female facilities. “I am looking forward to the season kicking off and seeing how WAFLW adds another exciting element to the WAFL competition and its clubs.